Marco and I did NOT budget for the baby. We ended up spending all extra funds on fertility treatments. When Diego was born, I went on maternity leave, and the state disability plan gave me 55% of my salary. I had paid into a supplemental disability insurance plan, which gave me another 35% of my salary, but it was not enough. The limited funds put us behind, and we are only now beginning to feel that we are caught up. We also found that as soon as Diego was born, all of our regular responsibilities were put on the back burner. Not the immediate back burner, but one far enough in the back to be almost unreachable. Yes, I was home all day. No, I did not keep up with my Excel spreadsheet of bills. I found that I was in a joyful fog, with little thought of the future, other than, “I’m sure it will all work out somehow.” My attitude was terrible, by all rational logic. I decided that I didn’t care if we went into more debt, or if I lost my job. All I wanted to do was gaze at my adorable sleeping baby, or care for him while he was awake, or play with him. This greatly alarmed Marco. Especially when I said, “I’m sure it will all work out.” He would have preferred that I go back to taking care of my responsibilities more quickly, and with the same gusto as before. Of course, he was right, but wasn’t I a little bit right? I mean, things DO always work out…somehow…don’t they? I guess I was a little like an addict, and my new baby was my drug. The fog lifted slightly when I returned to work in November. I am a high school teacher, and that requires a great amount of attention. However, I was still in a fog at home. Perhaps the worst thing this fog caused was my complete inability to remember to pay the water bill. I pay it online, and totally ignore the paper bills. Twice I forgot completely, and the water was turned off at home. Poor Marco…he trusts me to take care of those things, because I say I will, but he was trusting a woman who had (temporarily) lost her mind. I feel that now, in May, the fog is almost gone. I still feel the joy, but I realize I must attend to other things, as well. Things like cooking dinner and cleaning the house and paying bills. I also have a clearer vision of how we did things (or didn’t do them) and what I will change in the future, if we are lucky enough to have another baby. 1. Pay into some type of supplemental disability insurance plan for maternity leave. You may have to start this before you get pregnant, though. Talk to the HR rep at your company. 2. Save money! Even if it’s only $100 a month, it will really help during the time off. Leave it in your checking account; you don’t want to have to remember to transfer it later. 3. Review your insurance benefits. We switched to Marco’s plan because it was cheaper, with the same doctors and hospitals. 4. Set up as many automatic payments as you can before you have the baby. This way, you will have fewer things to worry about when the “joyful fog” surrounds you. 5. Hand over some (or all) bills to your husband or a family member to pay. You will be unreliable in that regard. 6. Prepare everything you can for your co-workers or substitutes. Preparation is key. You don’t want people from work contacting you when you are home with your baby. 7. Clean the house. This will not happen after the baby is born. 8. Freeze some meals. You probably won’t be cooking or shopping much after the baby is born. 9. 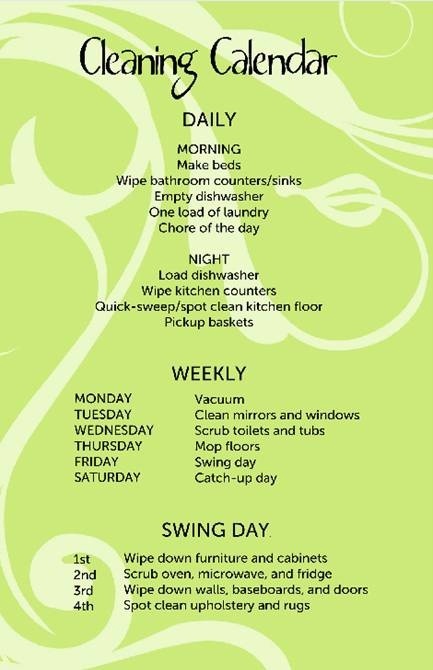 Have a talk with your husband about responsibilities, chores, and expectations. 10. Remember that above all, the baby is the most important thing. Let the fog wrap you in joy as you forget the rest of the world and focus on this beautiful, wonder-filled new life. Posted in Dollars and Sense, Mommyhood and tagged baby, budget, mom-to-be, Mother, working mom. Bookmark the permalink. 1. Always pay on time, even if you’re just making the minimum payment. Late payments lead to increased balances and astronomical percentage rates. I have one that went to 30% in my early 20s, and it never went back down. 2. Close your small store credit cards. We had cards for Express, Victoria’s Secret, Home Depot, and Best Buy. We bank at a Credit Union, and they worked out a deal with us to pay off a number of cards. We ended up closing all of these cards, and we pay the bank each month to pay off the loan. The nice thing is that the loan doesn’t seem to affect our credit score. 3. If you need to borrow money to make a big purchase, use things like Bill Me Later. It didn’t show up on our credit report, and it has 0% interest for the first 6 months. 4. Look for alternative credit offers in the mail. We receive notices two or three times a week, and they often offer 12 to 18 months of 0% interest. I transferred a balance from the 30% card to one of these, and it has taken a great weight off my shoulders. 5. Remember that loans for education are what people call “good debt.” Although you still need to make the payments, they are usually at a low interest rate (2-3%) and the lenders will work with you if the payments are too high. When you get frustrated with the payments, remember that they have allowed you to earn something that will always be useful in life, whether personally or professionally. 6. If you get over-extended with credit, reign it back in. Stop using the cards for everyday purchases. Remember that every time you use your credit cards, the business is being charged 2-3% of the cost. This causes them to lose money, and the widespread use of cards has forced them to raise the prices of goods, thus contributing to inflation. If you stick to cash, you save them money, and you will be more aware of what you are spending. Marco and I went to Italy for a week last year, and we only took $1000 cash. By the flight home on the last day, we had just enough cash to eat. It was perfect, because we watched our spending, and didn’t buy a bunch of useless souvenirs. 7. Take a look at your credit occasionally, on sites like FreeCreditReport.com and TransUnion. Remember that these sites will start charging you if you don’t cancel their services, though, and they might charge you to download the report. 8. Pay off a loan to increase your score. This shows that you are a low risk to lenders. People have different ideas of what good credit looks like, so here are a few scales of the different score brackets. Posted in Dollars and Sense and tagged budget, credit, marriage. Bookmark the permalink. Marco and I have been talking about replacing his 2002 Mitsubishi Montero for a few months (years, really, but he kept saying, “I think I can make it one more year with this car”) and we finally did it! We test-drove a Prius and looked at some Kias, and walked around Carmax, but we finally decided on the Mazda 3, for the gas mileage. We looked up local Mazda dealerships, and decided on Mazda of Orange, since the taxes would be cheaper in the OC than in Riverside County. We went for a test-drive, and told ourselves we weren’t going to buy yet (famous last words), and we drove my car there. Well, he decided he liked the hatchback, and our 22-year-old son-of-the-manager salesman awkwardly suggested that we buy it. Actually, he was great, and we spent the whole test-drive talking about cameras. After Marco parked the car and we got out, he hastily pointed out all the features one would normally discuss while on the drive. Anyway, Marco picked the black one, and we sat down to see what kind of deal we could make. We decided to lease it. They ran our credit, because Mazda requires a 700 FICO score for a lease. We passed! Who would have guessed?? Apparently we have good credit! We put $1,000 down, and told them we would trade in the old Montero. They accepted our trade, sight-unseen. Now, anyone with internet access can look up that car on the Kelley Blue Book site and see that it’s worth about $1400. Marco told them he wanted $2000. I almost choked, and he shot me a warning look. They asked us to put down $1500, and I balked. They said, no, $1000 down would be fine, and they would give us $1,000 on the trade (they hoped we weren’t offended), even though we had not brought the car in. We tried to contain our joy, because we both knew we were getting more on the trade than the old Mitsu was worth. After all the paperwork was done, our payment was $395. On a lease?!?! I was screaming inside, but I remained calm, and tried to tell myself that we would make a chunk of that back on the 40 MPG we’d get, compared to the 20 MPG he got in the Montero. When we got home that night, I happened to look at the clock at 11:11. I made a quick wish that we would be able to make the payments without too much trouble. The next day, I took the Montero to the dealership, and they informed me we needed to sign the contract again, because they had made a mistake. I nervously walked in, thinking they were going to add to the payment amount. The finance guy (an Indian guy who believes in karma…more on that later) said our payment would now be $290. What? Really? He pulled the contract back before I could sign it, said he needed to see his manager, and left the room with both the old and new contracts in his hands. He returned a few minutes later, mumbled something about computer codes and confusion and too many managers in one business, and put the new one back down on the desk. As he smoothed it out for me to sign, he said he had never seen this before. He said Marco and I must be good people, and karma has brought that back to us, because nobody gets a new contract with a lower payment. So here are my tips! 1. Don’t bring your trade with you…just get them to offer an amount, sight-unseen. 2. Don’t agree to anything higher…they will come back down to your highest price. We said ours was $350, even though it was really $400. 3. If you are a good person, good comes back to you. 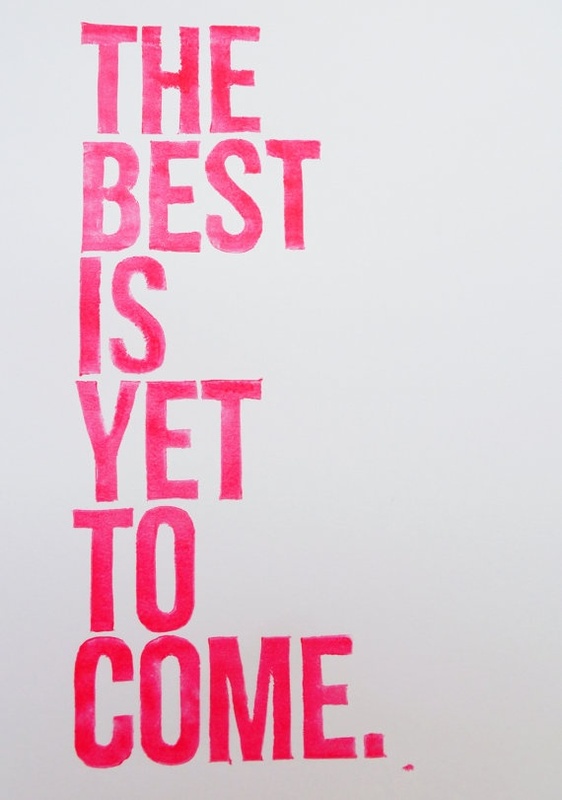 And I really believe that! Here’s Marco with his new car. He’s trying to get used to being so low to the ground, but he loves the ease of it. Posted in Dollars and Sense and tagged budget, car, Mazda. Bookmark the permalink. 1. Take advantage of the 99 Cents Store or the Dollar Tree. The 99 Cents Store has groceries, toiletries, paper goods, and party supplies. The brands and items change regularly, but I usually find many things on my list there. The Dollar Tree has basic home supplies, party supplies, paper goods, cleaning supplies, and toys. Count the items in your cart, and you know how much you will pay! When my niece and nephew want to go shopping for toys, my family members often make a trip to the Dollar Tree. The kids each get to pick two toys, and everyone is happy. 2. Be aware of the stores you go to out of habit. I naturally head to Target when I need basics for the home, but Target is more expensive than Wal Mart or Big Lots. Yes, Target is prettier and cleaner, but the basic products at Wal Mart or Big Lots are just as good, and half the price! 3. Make coffee at home! Coffee is expensive everywhere, but I go to a low-cost grocery store and get the store brand of coffee for $4.99. This gets me a can of coffee that lasts about 2 weeks. I buy coffee filters, creamer, sugar, and travel paper cups with lids at the 99 Cents Store. 4. Share your food. When I’m making a salad, I use slices of fruits and vegetables. With some lettuce as a base, I can stretch one pear, a few strawberries, two celery stalks, and one red bell pepper across many servings. At a fast food restaurant, buy one drink and share it. At the movies, share any snacks or drinks, rather than buying those for each person. 5. Do inexpensive or free date nights. We go to the $2 movie theater, or to a free concert in the park. Sometimes just going for a walk in a beautiful place is as good as going to a movie. 6. Limit your driving. Gas is one of the biggest expenses in most households right now. I think about our commutes, and I try to estimate how many miles we’ll be driving, and thus how many gallons we will need to get us through the week. If I can get my errands done in one trip at a store close to home, I’m happy. 7. Practice a policy of $1 lunches. I like to get Budget Gourmet frozen entrees, or I drive through a fast food restaurant like Del Taco or Taco Bell, where I can get two tacos or a burrito for less than $1. Leftovers are great, too. 8. Look for printable decorations online before buying them. My husband loved the decorations I made for Valentine’s Day, and I didn’t spend a dime. Try Family Fun, Free Printables, Everything Etsy, or DLTK’s. There are many sites, though, so do a google search! 9. Love your space. We often spend money to go places we love. When times are tough, though, find a place in your home to love, and have a relaxing time. Marco bought a record player at Big Lots a few months ago, and I love to cut flowers out of my back yard for the table, have a cup of tea or glass of wine, and listen to some old records from our collection. 10. Invite people over. Ask them to bring something, and have dinner at your place. This is how we end up with wine in our wine fridge (which was a wedding gift), even though I rarely think to buy any wine. Posted in Dollars and Sense and tagged advice, budget, money. Bookmark the permalink. One cannot live on bank alerts alone. You will need a budget, if you don’t have one already. I got married in 2008, with little regard to how our spending and credit histories would meld together. **How to make totals on Excel: 1. Click on the fx at the top of the page. 2. In the pop-up window, choose SUM. 3. Type in which cells you want to sum. You can do them individually, or you can do a whole section of the column by putting a colon between the first and last cells, such as B31:B37. I check my bank account and budget every day, or almost every day. I look at which payments have gone through, and which ones are pending. If a payment is pending, I change the cell’s color to yellow. If a payment has posted to the bank account, I change it to green. The yellow color is a reminder that the money is already spent, and it keeps me from feeling too rich when I look at the account. Posted in Dollars and Sense and tagged budget, Excel, money. Bookmark the permalink.